Signature Smile Studio is a passionate and professional dental clinic based in Frankston. As a friendly dentist Frankston locals can rely on, we make it our mission to help our patients reach their dental goals, however big or small. With our services covering restorative, general, emergency and cosmetic surgery, we can assist with a wide range of treatments, including wisdom teeth removal in Melbourne. There are many signs that indicate you may require wisdom teeth removal in Melbourne, including crowding of other teeth, decaying of the wisdom teeth, and jaw pain. If you’re experiencing any of these signs, we recommend making an appointment with us to determine if you need to see a dentist for wisdom teeth removal. Signature Smile Studio specialises in stress-free removal of your wisdom teeth. For many people, the concept of wisdom teeth extraction is daunting, but our dentists are dedicated to taking the stress out of the procedure. If you think it might be time for your wisdom teeth to come out, our qualified and highly experienced dentists will be able to examine your teeth and decide the best method of removal. Wisdom teeth removal in Melbourne is often necessary to prevent them from becoming infected, impacting the gums and causing decay. For this reason, having wisdom teeth treatment early is ideal to prevent future dental issues from arising. DOES WISDOM TOOTH EXTRACTION HURT? No, the wisdom tooth extraction procedure should not cause any pain. Depending on the complexity of your wisdom teeth removal, you’ll either be placed under general anaesthetic so you won’t be conscious, or given a local anaesthetic that will take away all sensation of pain from the area. Some individuals will experience pain, swelling and discomfort after undergoing wisdom teeth removal in Melbourne. This pain can be alleviated with the use of painkillers, or by holding a hot or cold compress to the cheek. 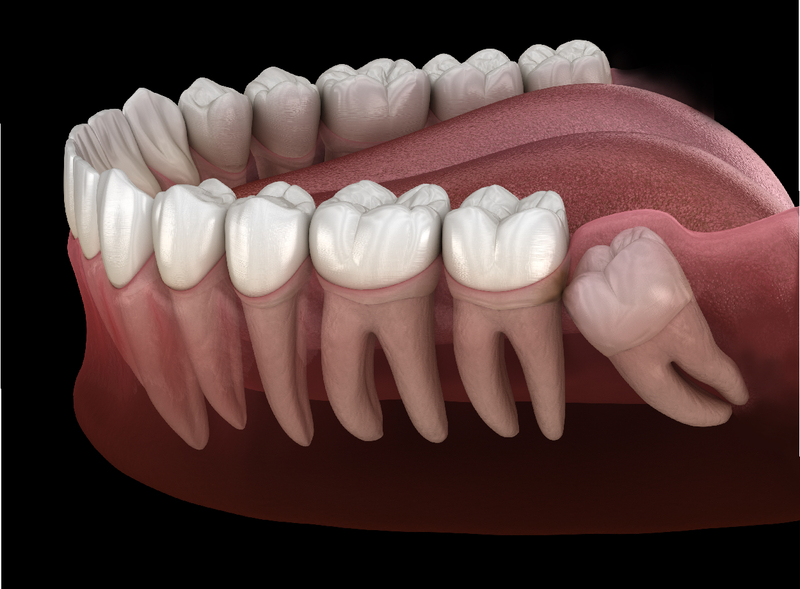 Contact Signature Smile Studio today to book in for a consultation and discuss our options for wisdom teeth extraction. Give us a call on (03) 9783 2747 to make an appointment.